Come to our dealership, Cadillac of Portland, near Beaverton and Hillsboro, to explore the all-new Cadillac Escalade. This high-end SUV mixes superior performance with a polished design. It is equipped with a 420 horsepower V8 engine, paired with a precise 10-speed automatic transmission for the simplest gear shifts and optional all-wheel drive for tough conditions. A hands-free liftgate simplifies storage and Adaptive Remote Start with keyless access will allow you to stow equipment and enter the vehicle effortlessly. With room for 7 passengers, folding third row seats for extra storage, and a maximum tow capacity of 8,300 lbs., the Escalade is a great vehicle for family road trips. Cutting-edge safety features such as a rear camera mirror and Side Blind Zone Alert will help to prevent collisions on the road. 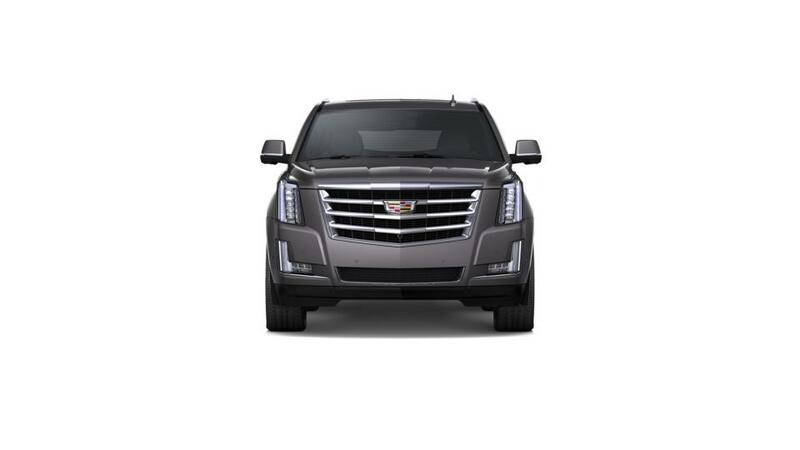 Browse our inventory of Cadillac Escalade models and pick the color and options that are right for you. Give us a call at (503)200-2533 about purchasing or leasing a new Cadillac Escalade in Portland.